With college students back in classes for the fall semester, their parents can only hope that they are making the best use of their time and money. 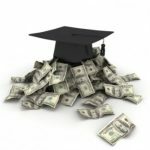 There is a lot at stake — the amount of student loans outstanding is approaching $1.3 trillion, having mushroomed by over 50 percent in less than three years. We all know the standard line about education being an investment in the future. It certainly can be; but with the amount of student debt increasing so rapidly, there is good reason to suspect some of this is being done out of desperation rather than as a logical path to an opportunity. For one thing, the job market has been so hard on young people that many are returning to school out of frustration with not being able to find a job. However, unless you are acquiring in-demand skills in the process, doing this simply delays the inevitable struggle to find work and racks up debt in the process. Also, the marketing of education has clicked into high gear in recent years. Overall, this is good — opening students up to new and potentially more efficient ways of getting degrees and training. But unfortunately, some of it is designed to sell programs that may sound relevant but which have little value in the job market. Are you getting the right degree for your chosen field? Education advertisements often focus on degrees related to popular fields. What you need to find out, though, is not what the ads say, but what degrees hiring managers are looking to fill in the profession. This relates both to the subject and the level of the degree. It is of little use to get an associate’s degree in a profession where a bachelor’s is the norm. Does your school have credibility in your target profession? First, you should make sure both your chosen school and the specific program have been properly accredited by a nationally recognized accrediting agency. A good place to start is with the Department of Education’s accreditation database. Beyond that, though, you need to get a sense of which schools have a good reputation with hiring managers in the profession and which are dismissed as turning out substandard graduates in that major. Looking at relevant want ads and even talking to some hiring managers before you enroll in a school is a good way to make better choices about your education. Are your grades likely to be competitive enough? It’s all very well to aspire to an elite profession, but if you have always been a C student and don’t have a good reason to believe that will suddenly turn around, you have to question whether your credentials will be competitive enough to get you the type of job you want. Do you have reason to believe you will enjoy the profession you’ve chosen? One of the saddest things is when someone goes through four or six years of college in a given field, only to enter the job market and find they don’t like the reality of the profession. Workplace reality is often very different from the classroom, so try to get a relevant internship before you go too far down a given educational path. This will help you get a taste of what the profession will be like from day to day, and will also help you make useful contacts for when you eventually enter the job market. Is there healthy job growth in that profession? If there is a small job market — or even worse, a shrinking one — for your chosen profession, you are going to find it hard to get work no matter what degree you get. The Bureau of Labor Statistics has an Occupational Outlook Handbook that is a good place to find out about the size and projected growth of the job market for various professions. Is an advanced degree really the answer? Going back to school is often a knee-jerk response of people who are having trouble getting promoted, but you need to take an honest look at whether it is your performance and not your resume that is holding you back. Does the income potential justify your level of borrowing? Just getting a job is not enough if you have taken on a staggering level of debt to do it. Before you borrow, try some advance budgeting. Look at salaries in your chosen profession, and compare them to the loan payment schedule you would be taking on to see if you could make a budget work under those circumstances. Using a student loan to further your education can still be a wise decision, but only if you approach it purposefully like an investment and not impulsively like buying a lottery ticket. 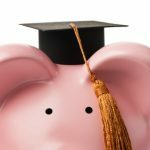 These are some good checks to consider before applying for a student loan, but I do wish you had also mentioned ways of getting a degree without a student loan altogether. In today’s economy, where jobs are in severe shortage, the chances of students getting a good, full-time, high-paying job straight out of university are pretty slim. In this case, a student loan simply adds to the distress of not getting the perfect career.